1 x 12"1 x 8"
Drawing upon nearly 60 years of tube amplifier design, the all-new AV (Analog Valve) Series from VOX offers players a full palette of authentic amplifier sounds via eight, all-analog pre-amp circuits .VOXs AV amplifiers also feature a true analog circuit design based on the classic 12AX7 tube, which lends classic, harmonically rich tones to these amps. The innovative Valve Stage section modifies the circuit to add, or reduce, brightness & bass response, and also allows users to adjust the bias and response of the power section on the fly. 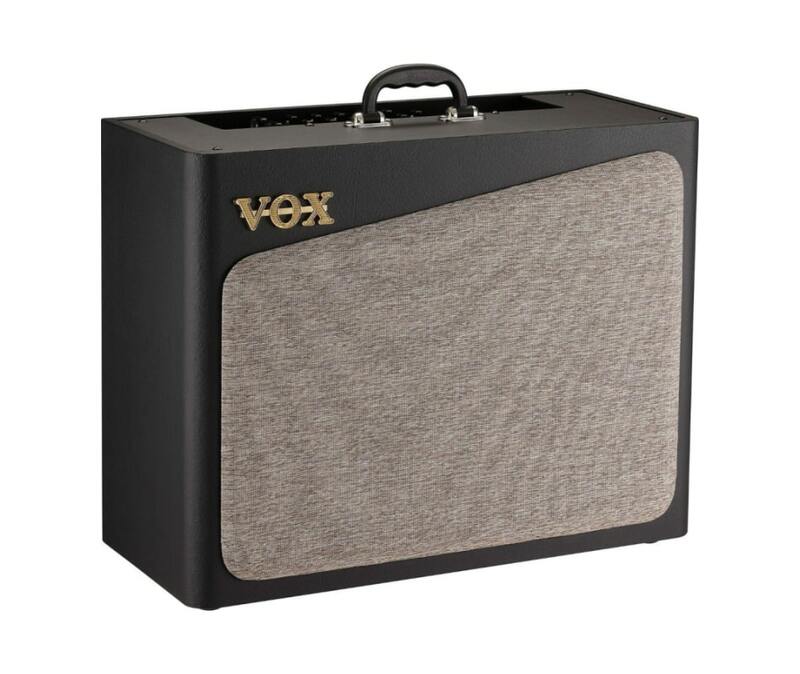 Additional features like a unique, sealed cabinet design, three classic effects (Chorus, Delay & Reverb), and a retro-inspired aesthetic establish the AV Series as one the most exciting, and unique, offerings in the VOX lineup.